?Today we face those who betrayed our predecessors. 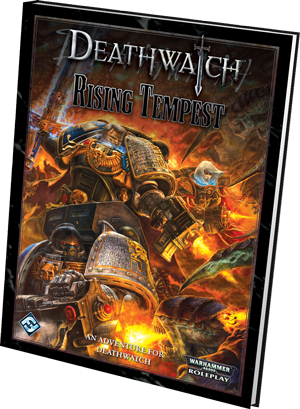 Today we bring death to those who turned from the light of the Emperor and broke faith with their brothers. Today we bring honour to those who came before us as we lay low these traitors! For Vilamus! For Guilliman! For the Emperor!" The brethren of the Deathwatch are the champions of humanity, the elite of the elite, and the very best the thousand and more Chapters of the Adeptus Astartes can produce. But while many Battle-Brothers are drawn from the most well known Chapters?the Blood Angels, the Space Wolves, the Ultramarines, and others of the First Founding?still more hail from lesser known bodies, the Successors of the great Legions. Some of these Chapters are every bit as famous as their celebrated progenitors, while others are all but unheralded. Nevertheless, all are heroes. 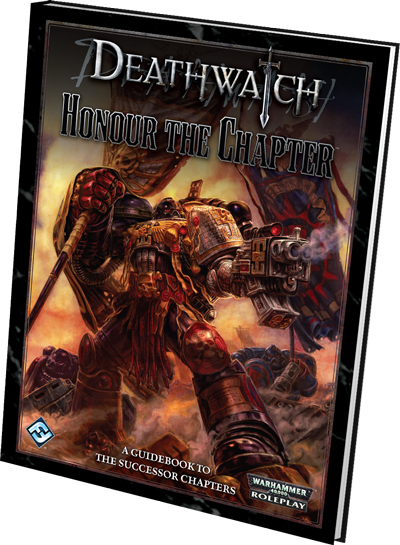 Fantasy Flight Games is pleased to announce the upcoming release of Honour the Chapter, a supplement for Deathwatch! Honour the Chapter provides a wealth of options for players interested in characters drawn from Chapters created during the Second or subsequent Foundings. This comprehensive tome contains new character creation rules, a wealth of relics unique to each Chapter, and plenty of guidance and adventure seeds for Game Masters. 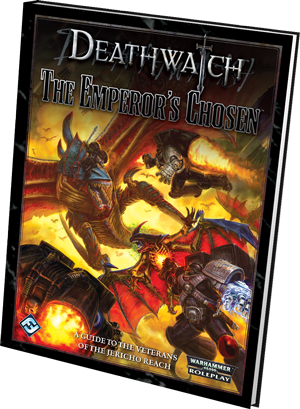 As the second book I?ve developed for the Deathwatch line, Honour the Chapter was an exciting project for me. 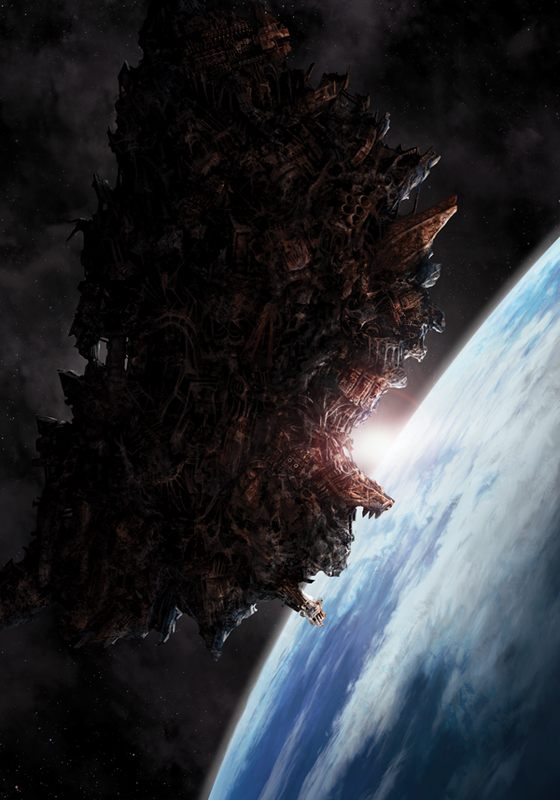 Since the Core Rulebook, we've had a good chance to cover our core of Space Marine Chapters, and with First Founding we were able to bring the remaining progenitor Chapters to the fore. 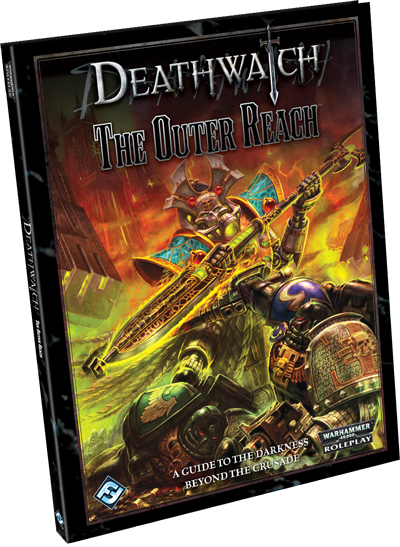 But now, for the first time since the inception of Deathwatch, we will be giving a huge number of the other myriad Chapters of the Adeptus Astartes the attention they deserve. 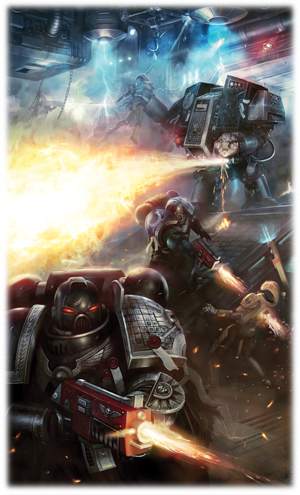 I think players are going to really enjoy the chance to play Battle-Brothers from Chapters throughout the Imperium, each with as much depth as the Chapters we've covered in our past products. Of course, with all this variety comes a price. Trying to form a Kill-team out of Battle-Brothers from such disparate backgrounds, all with their own histories, combat doctrines, and philosophies is tough work. Thankfully, we've covered that, too! 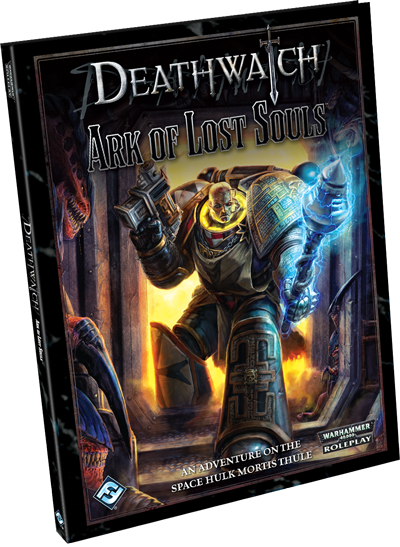 GMs will find Honour the Chapter indispensable for making the most of their campaigns, by highlighting the strengths of their players, their characters, and the relationships between the Chapters of the Adeptus Astartes. In this way, they?ll really make their players feel like the epic heroes of the Imperium that they are! 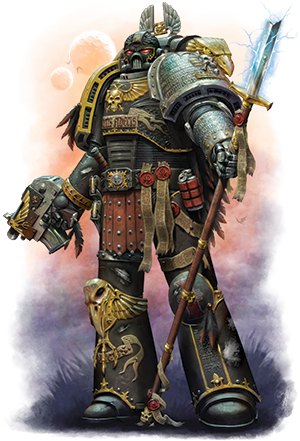 For ten millennia, Space Marines from a thousand chapters have fought and died in the name of the Emperor of Man. 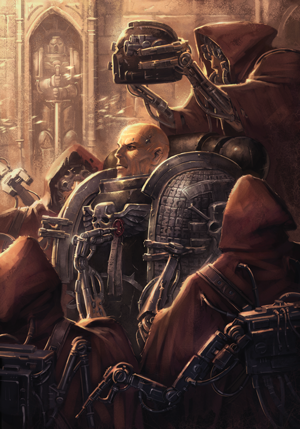 Keep checking back as we preview Honour the Chapter in the coming weeks, and late in the second quarter, take your place among the legends of the Adeptus Astartes! Esta vez la ilustración de la portada no me gusta, me parece demasiado desproporcionada y rígida. Hay un Puño Carmesí de fondo. Me he acordado de cuando mi pobre Hermano García de la Deathwatch casi muere destripando a un Patriarca Genestealer. Creo que el master nos salvó la vida, pero no podría confirmarlo. En cuanto a trasfondo de los Tau es un sept expedicionario que paso a traves de una puerta estelar estable construida por una raza extinta, los Tau encuentran un portal activo en un sistema al que fortifican cerca de Landfall en el Imperio Tau, aparentemente el portal tiene tiempo de recarga y los refuerzos llegan en forma escalonada, el Sept tiene 25 mundos totalmente tau y una buena cantidad de mundos vasallos tanto de Humanos Rebeldes como de razas menores, se menciona a varias e incluso a algunas unidades caracterizadas de humanos o abhumanos partidarios de los Tau. Ostis , esta ambientación me gusta mucho. Para el rol no hay edad, Koniev. Sobre veteranos de los Guardianes de la Muerte. Eso es lo mejor que está haciendo FFG, llenar huecos y ampliar cosas, sin necesidad de tocar el trasfondo ya establecido ni modificarlo. Así da gusto.